While most secrets are better left unsaid, that is certainly NOT the case when it comes to great music. From the dawn of recorded music, there have been many artists who barely caused a ripple when they were creating their finest works, only to be discovered and given a full reappraisal many years after they left the industry (or worse yet, left this mortal coil!). Some great artists never receive the recognition they deserve, apart from a devoted fanbase who attempt to keep the artist's name alive. Which brings me to one of the finest 'best kept secrets' in the music business: The Nits! The Nits (or Nits as they are now known), are a Dutch band yet have a devoted following all around the world. Sadly, they remain barely known outside of Europe. Not only are the band still creating great music, they continue to evolve with each release. During their first 15 years of existence, they never made the same album twice. Even the last decade and a half has seen many changes to the band's sound, but not as drastic as the first half of their career. The band released their first independent album in 1978, followed a year later by their major label debut. Since '79, they have remained part of the Sony family (bar one album), even having an album released in the U.S. in the mid '90s (Da Da Da ). But through it all, only deeply devoted music fans outside of Europe have fallen under their spell. Supposedly, they have a rabid following in Canada but you can certainly find small patches of them on every continent if you do a little 'net surfing. 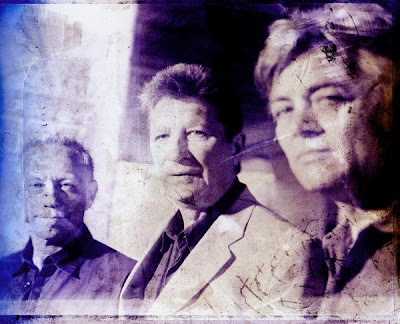 The band has remained a trio, on and off, since 1986. Henk Hofstede and Rob Kloet have been there since the band's 1974 formation while Robert Jan Stips (formerly the leader of Supersister) joined in 1981. All three write and perform The Nits unique music, which blends intelligent Art-Rock with European Folk, '60s Pop, Classical and anything else that moves them. When tracing the band's musical career, comparisons to XTC usually arise. Both bands began as quirky and eccentric New Wavey popsters, gradually transforming into intelligent, earthy and mature music makers. Comparisons end in the '90s, when XTC quietly split up while The Nits continued creating amazingly complex yet fun pop music. Stips did leave for a brief time (two albums) but he's back and The Nits continue to amaze their fans and surprise the critics. Their latest release is Strawberry Wood, and it's another jewel in the band's crown. Strawberry Wood is a softer, kinder extension of 2008's Doing The Dishes . It's more pensive than playful, but that works in it's favor. There are plenty of fun moments on Strawberry Wood, but its more of a 'thinking man's Pop' album and should be immediately embraced by those who adore smartly crafted, non-pretentious music. Highlights on the album include 'The Hours', 'Return', 'Tannenbaum' and "Departure', but your favorites are likely to change with each listen. 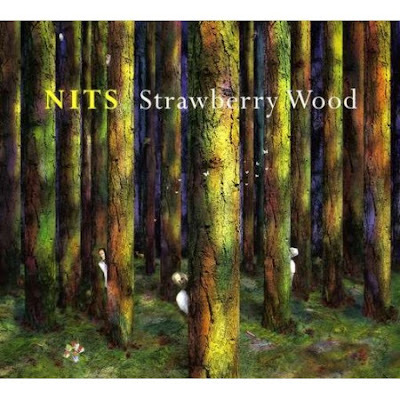 The Nits have made some great records in their time and Strawberry Wood rates as one of their best!